When it comes to swim-specific training stretch cords are about as good as it gets. 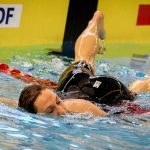 You roughly simulate the same movement you want to perform in the water, you can ramp up resistance, and it gives you an extra avenue for addressing technical improvements. The learning curve with swimming stretch cords is short. 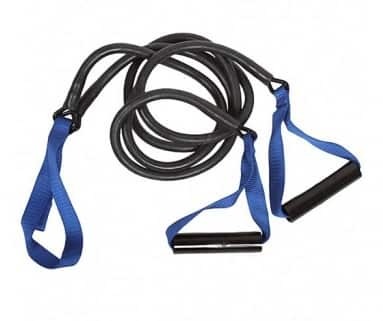 Unlike lifting, which requires careful coaching and supervision, particularly for novices, adding stretch cords to your dryland doesn’t require a lot of instruction. 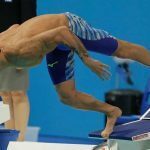 The swimmers (should) already know the basics of the pulling motion; all they have to do is replicate that with the cords. 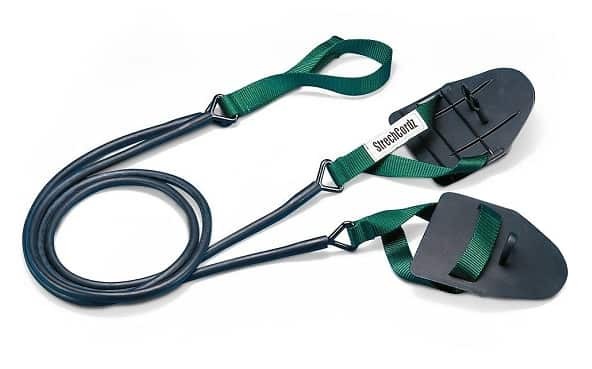 Unlike weights, stretch cords are relatively safe. Technical corrections can quickly be made. 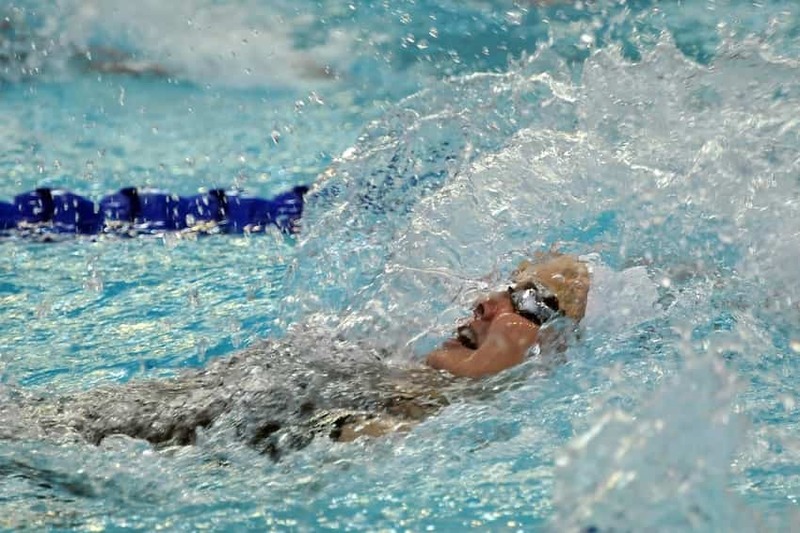 Unless you are videotaping swimmers under the water it’s not always possible to get a great look at the pulling motion of each individual athlete. 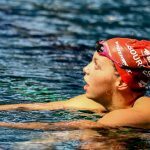 With stretch cords the swimmer is solely focusing on the pulling motion, and the coach can easily correct inefficiencies in the stroke. Training with stretch cords is specific to what you are trying to do in the water. The greatest advantage of resistance tubing is that we are performing an exercise that closely mimics what we are doing in the water. The closer our dryland activities match up to what we want to accomplish in the water the better. A number of studies have found that a general dryland program doesn’t always result in faster swimming performance. Researchers in one study  surmised that it was a lack of specificity in the dryland training. This general approach to dryland (and its limitations) should make sense, even if its just intuitively. Doing heaps of bicep curls might be great to impress at the beach, but it’s not necessarily going to help you swim faster. Gives you a way to train for higher stroke rates. For sprinters in particular, sprinting at the same stroke rate you want to race with is hard to do in practice, and you can only do it for so long. Stretch cords give you another weapon in strengthening and conditioning your stroke tempo. Use the cords to hit the same tempo you want to compete with. Doing this will give you a massive jump in the number of reps you are performing at race “speed”. Can be used in competition as part of your warm-up. Swim meet warm-ups can be a five alarm gong-show. Limited lane space, your swim isn’t till the tail end of the session (four hours after the warm-up pool closes), or you simply are low on time. Throwing a few rounds of moderate stretch cord sets can help you prime your muscles for a faster performance. 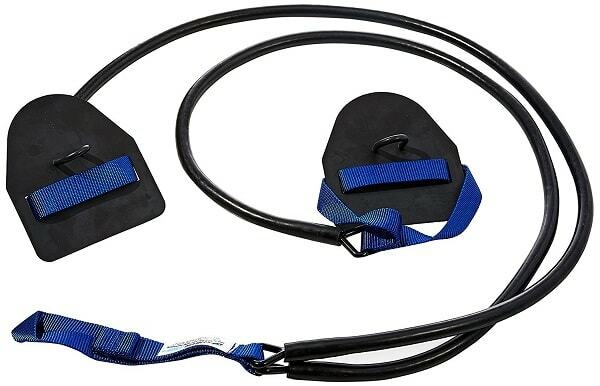 When a group of international level swim coaches were surveyed  to outline their best practices for swim meet warm up, stretch cords were a common part of the priming process (along with skipping and timing the warm-up 20-30 minutes before the race). Okay, stretch cords. Get some, right? They don’t evenly apply resistance. Stretch cords don’t apply the same tautness throughout the stroke—because the cord is longer and has more slack at the beginning of the pull motion there is less resistance at the top of the stroke. Your catch doesn’t get the TLC as the rest of the stroke. Your mid-pull and the finish of the pulling motion will definitely get stronger, because that’s where the resistance is hardest. This is one of the benefits of VASA trainers (whether it’s the Pro Trainer where you pull against gravity or the SwimErg that is like a rowing machine for swimmers)—there is an even amount of resistance through the whole pulling motion. You don’t get the hip rotation. Did you know that a huge part of the power you generate in the water comes from your hips? True story. When we bend over and belt out a few sets with the cords we get a great workout with our shoulders and back, but our hips are almost completely locked out of the movement. 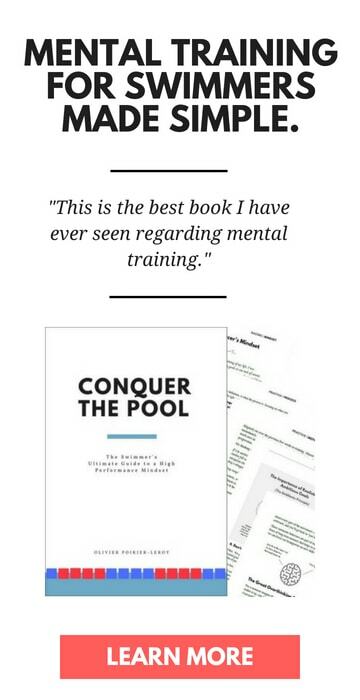 They shouldn’t replace pool training. 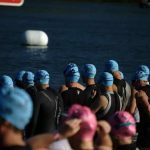 I get asked all the time for ways to replace swim training with dryland. Mainly because dryland is more accessible (you don’t need a pool to use the cords) and in my experience it’s a quicker workout (no changing before and after workouts, and usually less time spent warming up). But dryland should compliment your swim training, not necessarily replace it. 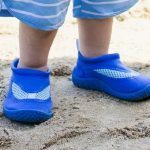 It’s tempting to see the swim-specific use of stretch cords and start replacing pool time with their use. I’ve had a few sets of these bad boys over the years. I’ve got a set of the blue ones hanging off my office door right now, in fact. 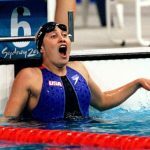 They are used by the US Olympic Swim Team and are basically the gold standard of resistance tubing for competitive swimmers. They are durable, portable, and come in different levels of resistance. They are color-coded to indicate how thick the tubing is and how much resistance they produce. Blue is the hardest, followed by red, green, yellow and silver being the “easiest”. The StretchCordz have a looped strap that can loop easily into a door knob or anything else sturdy. A more versatile version includes handles, which makes them helpful for more general dryland exercises. You can do your shoulder cuff exercises and strength training exercises (standing shoulder press, for instance) with the handled version. The levels of difficulty are the same as the paddled version. 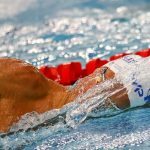 3 Ways to Become a More Powerful Swimmer. Power. The very word conjures up an overwhelming sense of speed, of inevitability, of conquering the competition and the pool. 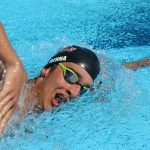 Here is how to become a more powerful swimmer in the water. 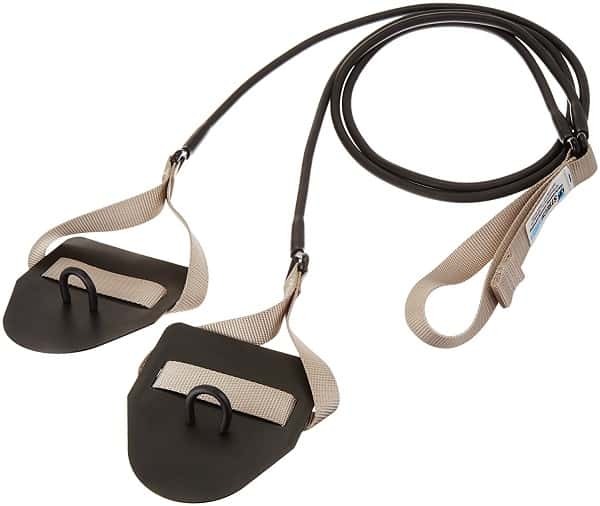 The VASA Trainer Reviewed: A Dryland Tool for More Powerful Swimming. Looking to strengthen up your stroke? Develop a more powerful catch? Here’s why the VASA trainer should be added to your training arsenal.